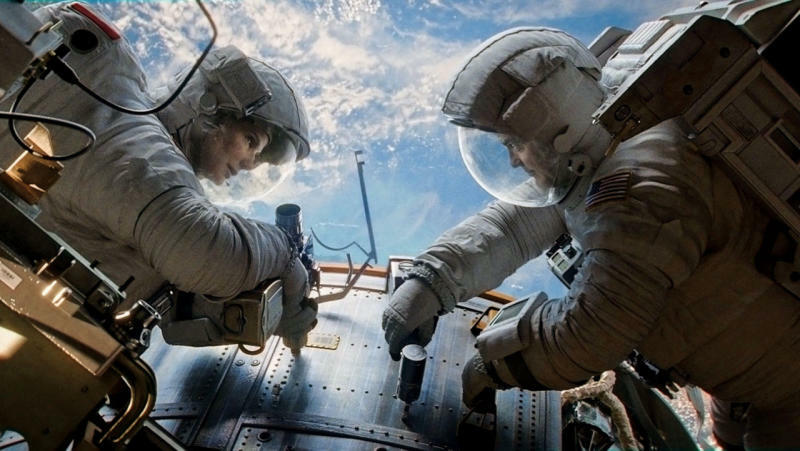 ‘Gravity’ has already earned a reputation as modern classic thanks to its groundbreaking special effects and an incredible central performance from Sandra Bullock – and it won seven Oscars to prove it in 2013. 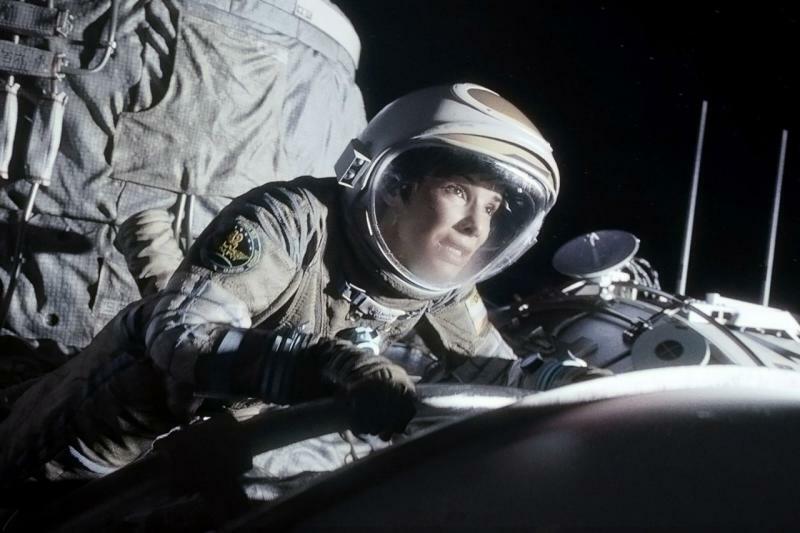 But the coolest thing about ‘Gravity’ is both the amazing way the film was made, and the numerous space-themed Easter Eggs throughout the film. 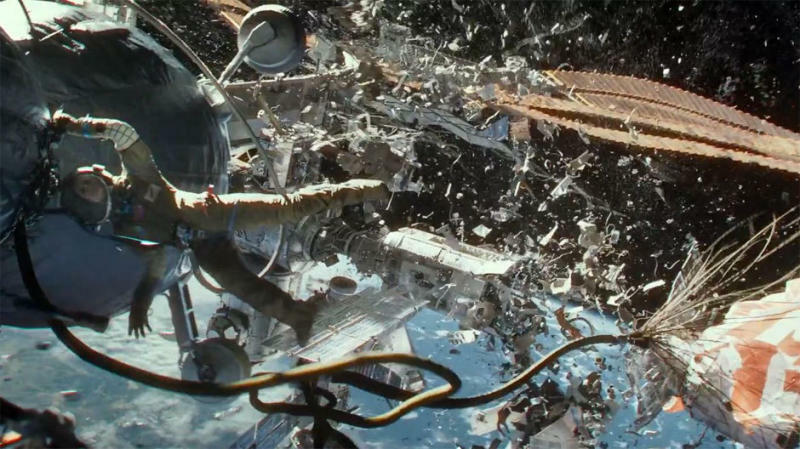 We sat down with director Alfonso Cauron, who dished the dirt on some out of this world (ugh, sorry) 'Gravity’ trivia. Enjoy. 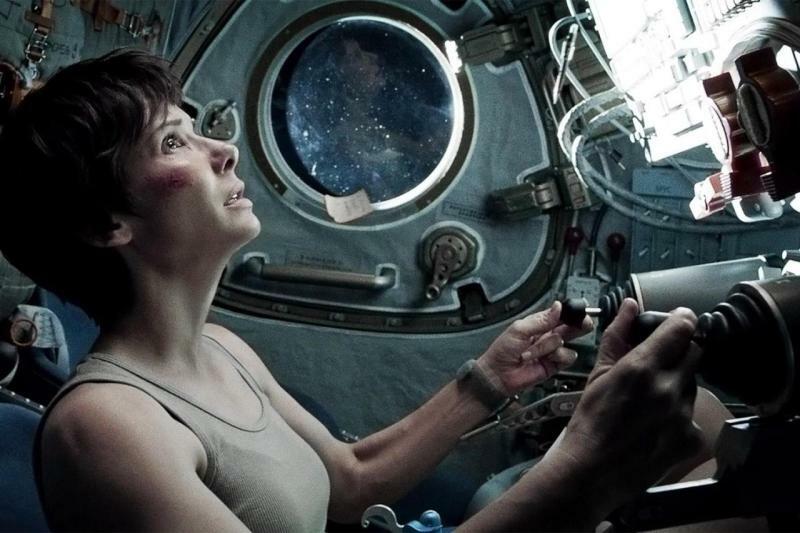 Apparently several test audience members for ‘Gravity’ were annoyed that there were no aliens or monsters in the film. “Because we know when we go to space, there’s always an alien or a monster!” laughed Cuarón. “That’s the reason they’re the audience and you’re the filmmaker.” The closest they get is a Marvin the Martian toy in the Space Shuttle. Boffins have noticed that the film’s running time - around 90 minutes – matches how long it takes the real International Space Station to orbit the earth. ‘Gravity’ references this when Bullock sets a timer for 90 minutes to remind her when the space debris that caused the first accident will make a reappearance. “This is a really cool thing, I never thought about that. I have to start saying that in interviews,” laughed Cuarón. “But actually the film is only 87 minutes long!” Still seems like a rather big coincidence to us. 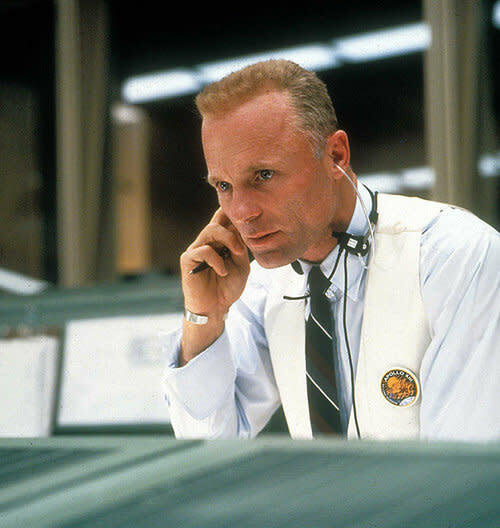 …because it’s Ed Harris, who also played mission control boss Gene Kranz in ‘Apollo 13’. He’s never seen on screen however, though Cuarón said at one point he was under pressure to film scenes set in Mission Control in Houston. “Ed Harris is not just ‘Apollo 13’ but he’s ‘The Right Stuff’ as well… he’s Mr. space”, said Cuarón. Despite some online speculation, there’s no other space movie references in the film. 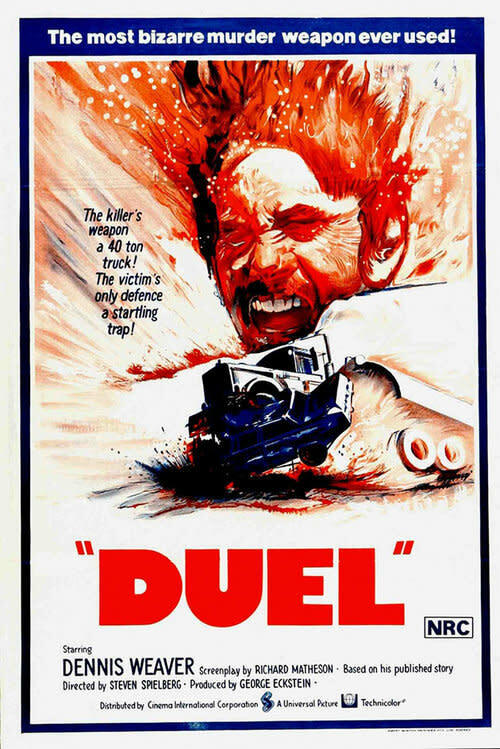 Instead Spielberg’s breakthrough hit ‘Duel’, about a man (played by Dennis Weaver) who is pursued and terrorised by a faceless lorry driver, was the point of departure for ‘Gravity’. Another 1970s pursuit movie, ‘Vanishing point’, was also a reference for Cuarón. It’s fair to say Sandra Bullock’s role of Dr. Ryan Stone was a challenge. She was acting on her own for most of the movie, often against a green screen and sometimes trapped inside tiny spaces. 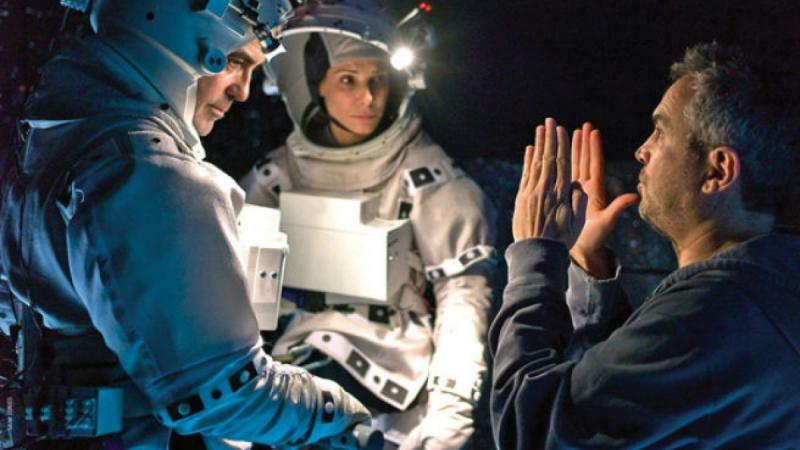 Cuarón and the crew tried all sorts of tricks to keep her spirit up during the production. “Everybody was working very closely with each other to try and make things work for Sandra,” said Cuarón. “There was virtually no sets and she was usually on her own in the film. Sometimes we’d play her the ‘Rocky’ music [when she came on set], like she was a boxer going to the ring. “Sometimes out of the blue, when she’d been stuck in the box for a few hours, we’d project pictures of her real son onto the walls with a LED light to get her through it.” It obviously worked, as Bullock got an Oscar nomination for the film. Without spoiling the film, there’s a pivotal moment midway through ‘Gravity’ that proves a turning point for Dr. Stone (see it and you’ll know what we mean). Cuarón was struggling to make the sequence work, so he enlisted George Clooney - who co-stars as suave veteran astronaut Matt Kowalski - to help to rewrite it. The cataclysmic accident that sends Dr. Stone spinning into space is based on a real scenario called the Kessler Syndrome. The theory (very briefly) is that the density of man-made objects in space is so great that any collision will create a chain reaction of debris – which is what happens in ‘Gravity’ when the Russians strike a defunct satellite with a missile. Cuarón said the Chinese almost did the same thing for real when they destroyed one of their own satellites and created a storm of debris. Clooney’s Matt Kowalski mentions several times that he’s trying to break the record for the total time spacewalking - 82 hours - held by real-life Russian cosmonaut called Anatoly Solovyev. 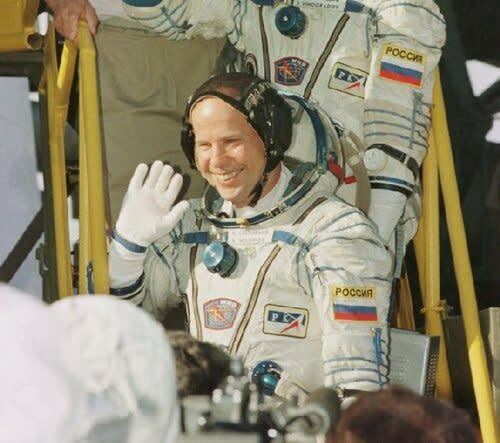 Solovyev is now 65-years-old but completed 16 spacewalks between 1988 and 1998. “We were trying to contact him in Russia” said Cuarón. “He’s still alive, I think he lives in Ukraine actually. Anatoly’s a real thing.” We hope they track him down.